Our veterinary clinic and animal hospital is run by Dr. Alyssa King, who is a licensed, experienced Colorado Springs veterinarian. Looking for the right veterinarian can be overwhelming. How do you choose? 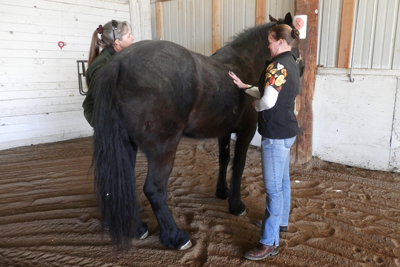 We offer specialized care for horses and sheep, providing the city expertise in veterinary medicine. But we have more than experience—from the beginning our focus has been on excellent care for companion animals. Our veterinary staff is committed to the highest standards of practice. Dr Alyssa King graduated from Texas A&M focusing in large animal medicine. She moved here with her husband in the past year who has been stationed at Ft Carson. They enjoy roping and team sorting with their horses in Fountain and all the outdoor activities the Colorado Springs area has to offer. "Dr King is the best! she is always willing to work around schedules and is fabulous about getting things done quick like health certs and coggins! I'm so thankful I moved into the area she services!!"